Cairns, Australia – it’s a long way away from, well, almost anywhere. But with stunning landscape and unique beauty it’s well worth the trip. 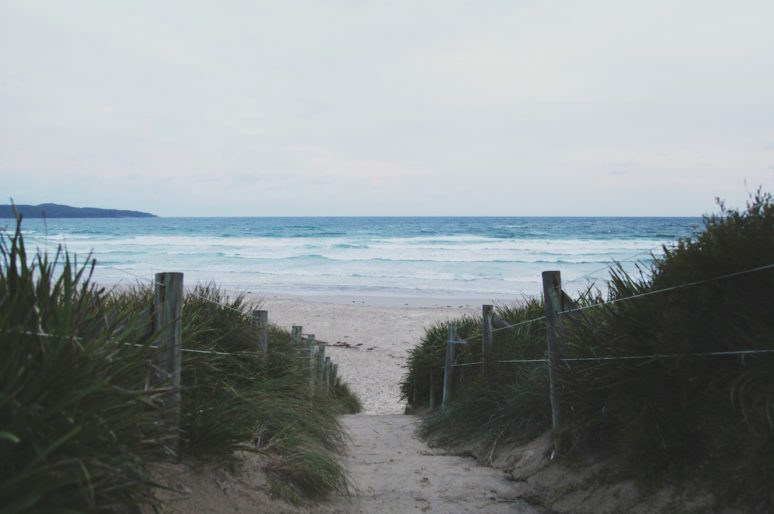 That’s why if you’re making the hop across the ocean (or even just an Aussie wanting a weekend away somewhere beautiful) you want to make the most of the time you have and pack it to the brim with everything to see, do, taste, touch, feel… you get the picture. 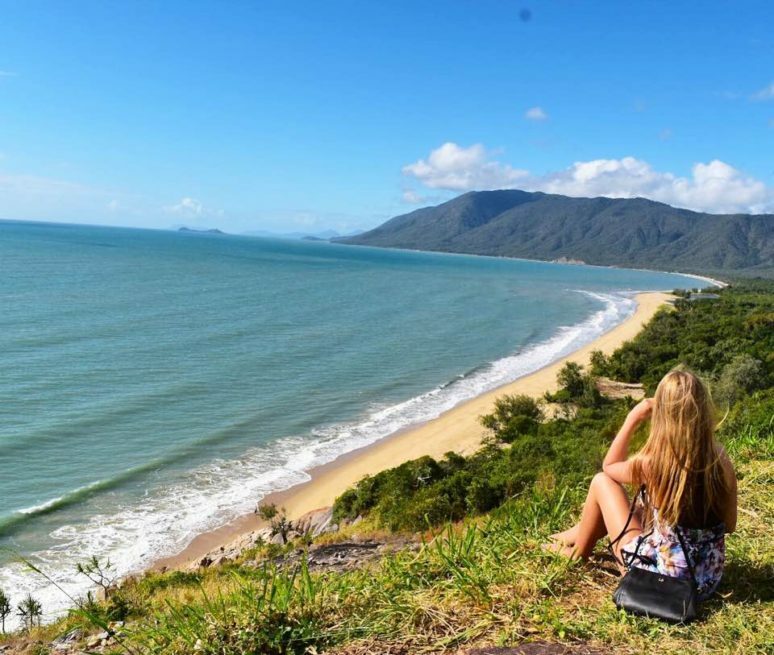 Australia is so diverse – I mean it would be stretching across 7.69 million square kilometres – but arguably one of Australia’s most beautiful destinations is coastal town Cairns in Tropical North Queensland. Situated in North East Australia, not only is Cairns the gateway to one of the seven wonders of the natural world – The Great Barrier Reef, which, even though it can be seen from Outer Space it’s a damn sight nicer looking close up, it is also home to some spectacular waterfalls and natural beauty. 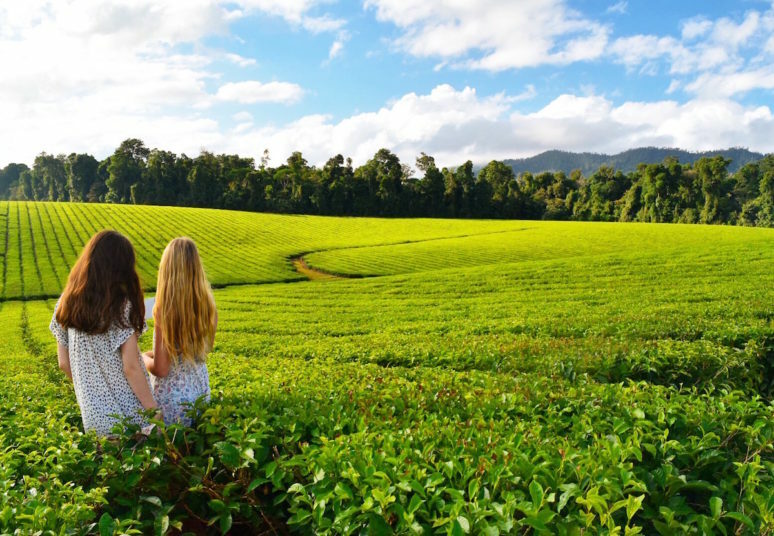 And a tight schedule shouldn’t mean you should miss out on any of it, below is the best way to soak it all in in just three fun packed days. 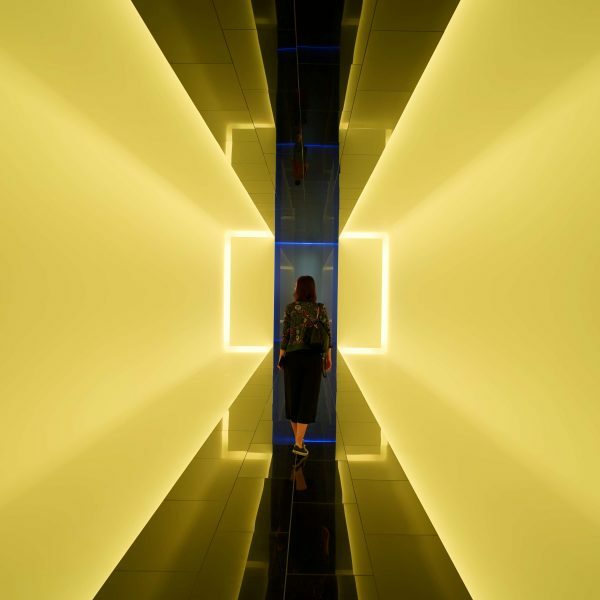 Cairns is a tourist hub, but don’t let that put you off, sometimes it’s not always the ‘path less travelled’ that makes all the difference – if two million people from all across the globe visit this region each year they are probably onto a good thing. 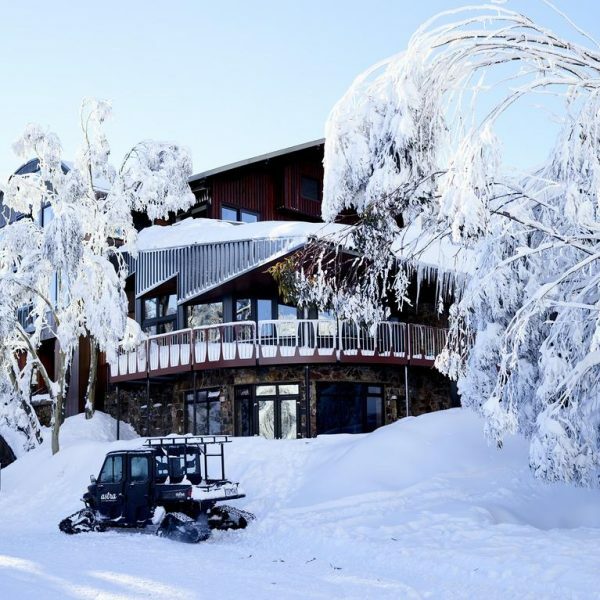 Its popularity means there is a variety of accommodation options– from 5 star hotels to backpackers and everything in between. For those on a budget – Gilligan’s comes highly regarded. Popular with travellers and locals alike, Gillie’s is a cheap, sociable and very clean backpackers, located in Cairns City and home to the most popular nightclub in Cairns. Although this may put off some people, the rooms are far enough away not to be disrupted and free entry into the club doesn’t hurt. 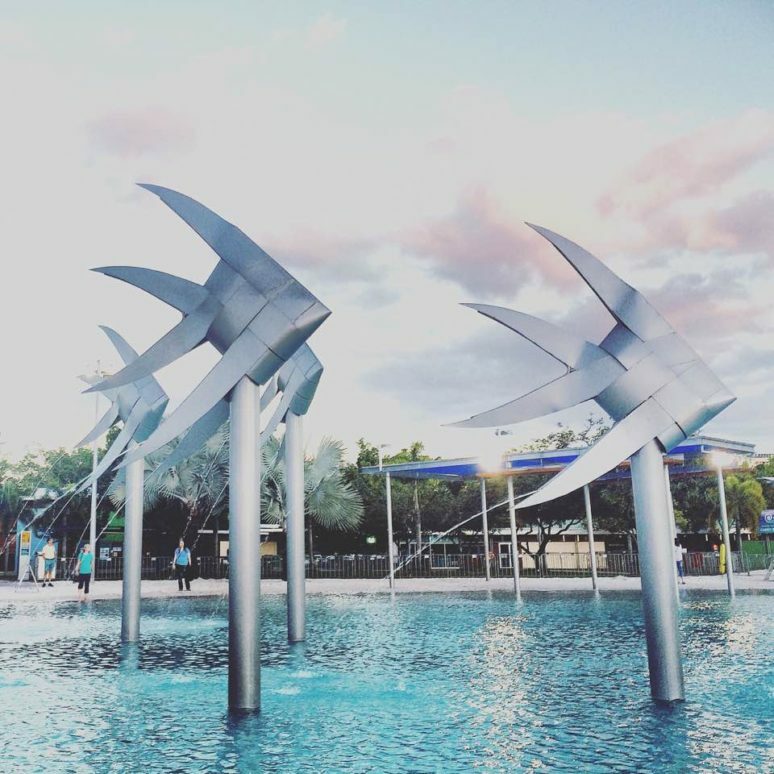 Either way – Cairns City is often described as a university campus with its relaxed vibe and interactive and friendly atmosphere – so even if you don’t choose Gillie’s anywhere in the city will set you up for an ideal holiday! Arrive in Cairns fresh as a daisy and ready for the days ahead. Cairns is a part of the famous Great Dividing Range in Australia and therefore, there’s no better way to start your trip than with a journey on the renowned Kuranda train. Leaving from the Cairns Central Train Station at 8.30 and 9.30am each morning, the train winds it’s way up the mountains, past waterfalls and spectacular views (did someone say Instagram opportunity?) into the Kuranda Village, a small hippy town situated on top of the Kuranda Range – 27km away from Cairns. 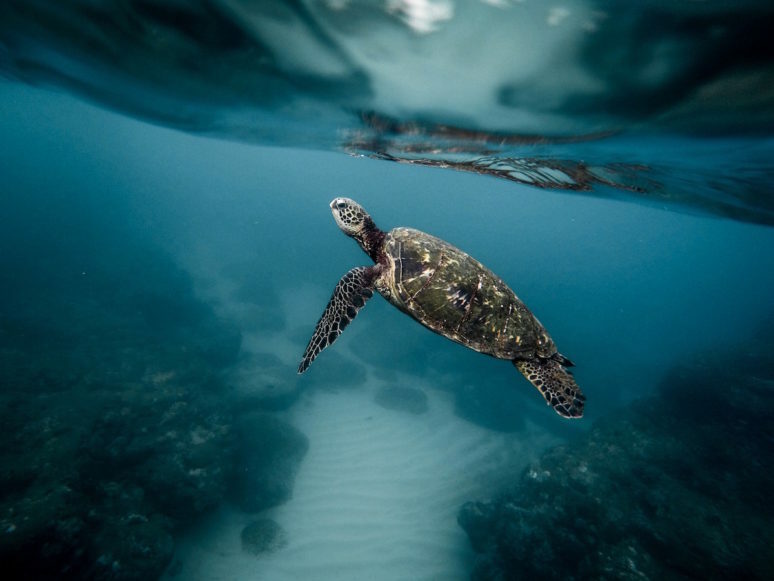 The journey takes roughly two hours and costs AUS $50 pp (or $40 if you manage to con a local into buying a ticket for you – Cairns locals enjoy 20% off most attractions so if you pick one up in Gilligans it doesn’t do you any harm to invite them on your adventures!). On arriving in Kuranda you can spend your morning wandering through the little village markets on everyday, enjoying the simpler side of life. Once you’ve had your fair share, take the short stroll to the Kuranda Sky Rail where you begin your unique trip back into Cairns. Cable cars suspended high above the rainforest canopy deliver you back into the city – if you own a GoPro here is a great opportunity to selfie like you’ve never selfie’d before. Sneak your arm out of the carriage window and snap away. You’ll get yourself, the carriage and all the Cairns Rainforest in the shot – it really makes a great picture! This journey costs AUS $50 pp and it is actually cheaper to buy the Skyrail and Train tickets separately rather than a combined package as advertised on the website! Spend your afternoon further North by heading out towards Mossman Gorge and Port Douglas. Hiring a car is easily the best way to get around in Cairns and there are plenty of places to do so. Get out onto the road and travel towards Mossman and Port along the spectacular Great Barrier Reef Drive. It’s like no other, and must be one of the most picturesque drives in Australia. Don’t forget to get a quick snap at Rex Lookout as you pass it on your right half way through your journey. It takes just over an hour to get to Mossman, but it is definitely worth the journey. 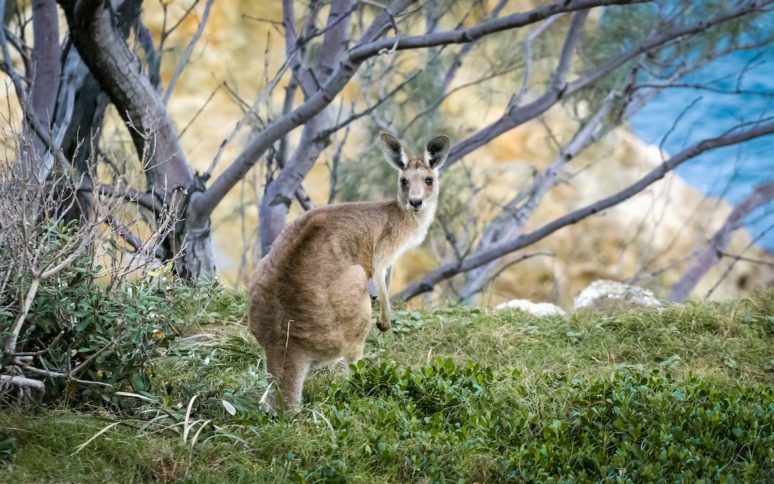 Park your car at the Visitor’s Centre, and hop on the short bus ride out to the actual Gorge (AUS $9.10 return fare). 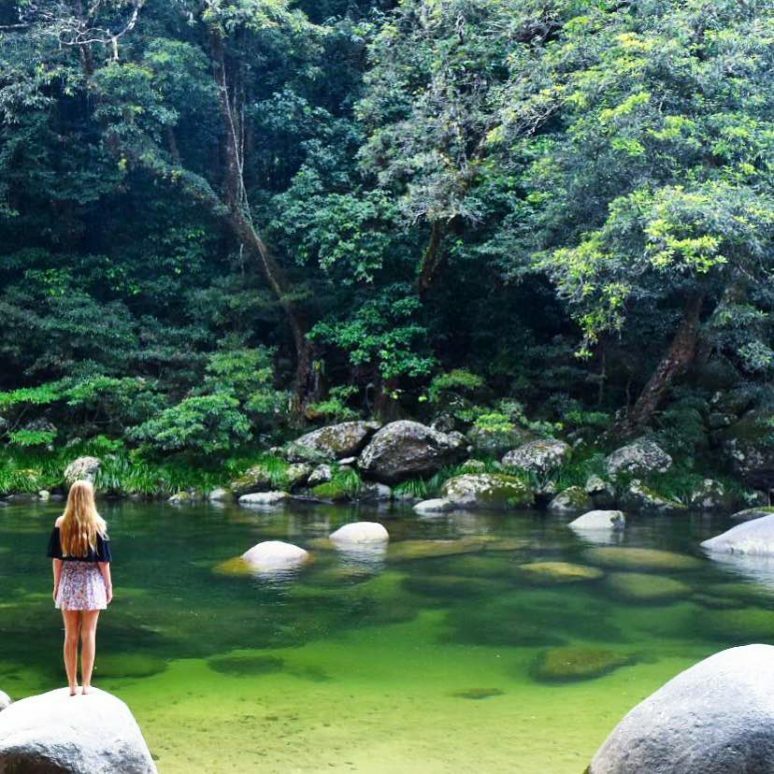 Mossman Gorge will take your breath away (probably literally if you take the plunge and dive in – it is very, very fresh). Situated within the Daintree Rainforest, which is thought to be one of the three oldest rainforests in the entire world, the water sparkles as it cascades over enormous pebbles and is almost unbelievably clear. You’d be forgiven for thinking you had fallen into a real life fairy tale. 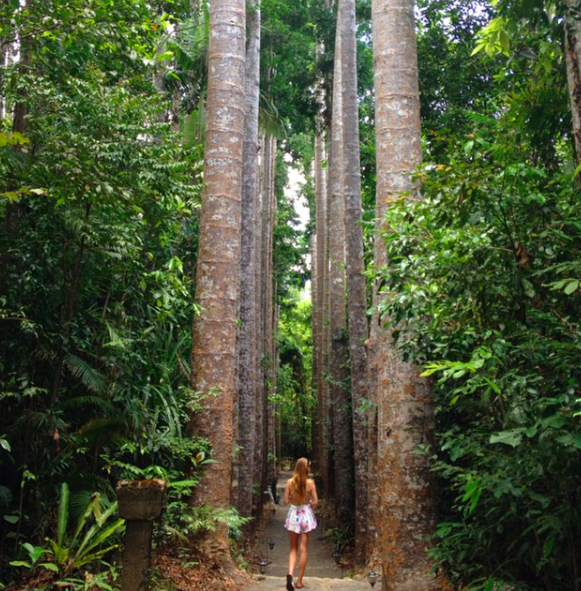 Spend the rest of your afternoon wandering through the picturesque holiday town of Port Douglas just a mere 10 minute drive away from the Gorge. Keep your eyes peeled as this famous little town has seen the likes of Mick Jagger, John Travolta, Tom Hanks and other celebrities all wanting to experience a little bit of the Tropical North Queensland magic themselves. Then finish the day taking in the sunset under the palm trees of Port Douglas’ Rex Smeal Park. Today we head South and West. For those who fancy an early morning hike The Pyramid, just 30 minutes south of Cairns, is well worth the climb. At 922m, it is the highest freestanding pyramid in the world, which not only gives yourself great bragging rights when you return home, but also provides with a sensational view of Cairns and the surrounds. Heading down South past the Pyramid we are met with the beautiful Paronella Park. Australia may not have as many ancient castles as countries like England, but we definitely do our best to make up for it with Paronella Park. 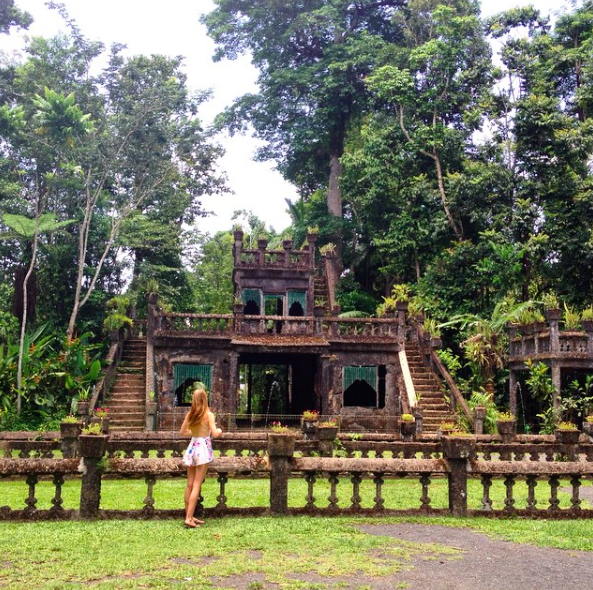 Situated within the rainforest, the castle ruins are incredibly picturesque and a popular spot for weddings due to its beauty and romantic feel. Plus you have the opportunity to feed wild turtles on the grounds. Heading past Paronella and towards the Atherton Tablelands we begin our Waterfall Circuit tour. 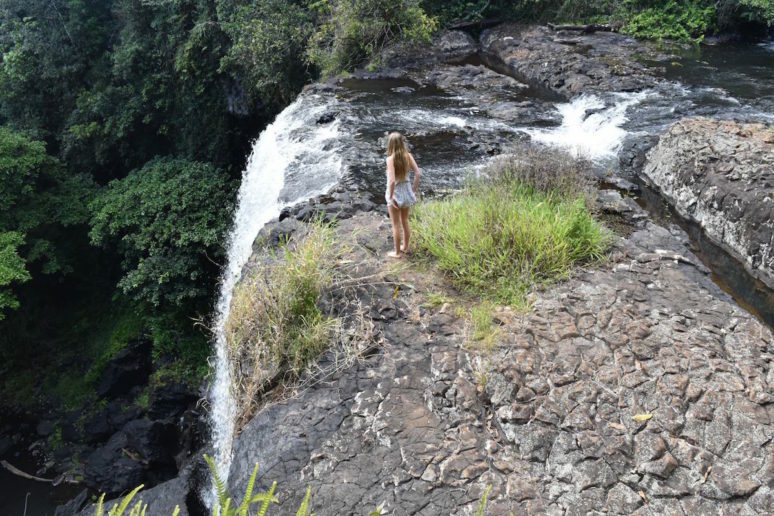 There are three well-known waterfalls on the Tablelands, however, one not so well known, but arguably the most impressive of them all is Nandroya Falls. 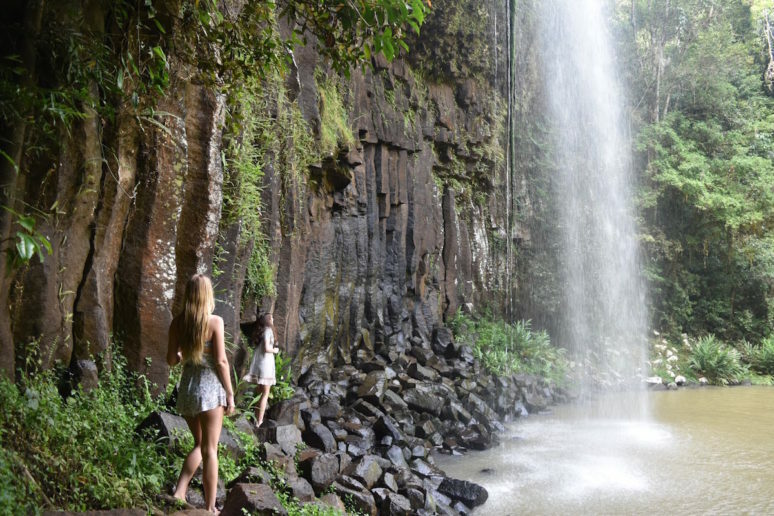 Situated in Wooroonooran National Park an easy twenty-minute walk leads you to a 50m free fall drop waterfall. Taking due care, it’s possible to swim and get very close to the bottom of the falls, as despite the power of the water gushing down the pool at the bottom is quite shallow. 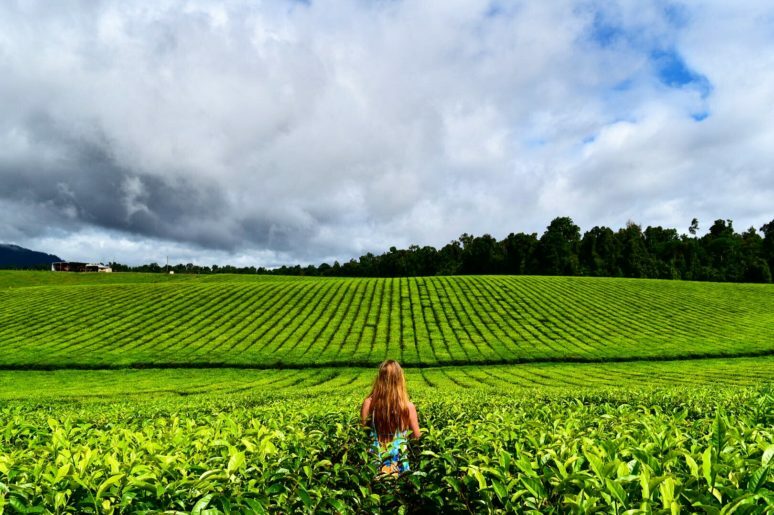 Continuing towards the Atherton Tablelands, don’t forget to keep your eyes open for the Nucifora Tea Plantation on your left, if you’re lucky you should also spot a small wallaby or two. Millaa Millaa Waterfall is our first stop and one you may recognise from a Herbal Essence advertisement. It’s very fun to jump into the water, dip your head under and flick back quickly to get the same effect as seen in the shampoo advertisement – if you don’t know the ad I’m talking about that doesn’t matter- it makes a wicked photo either way. If you don’t find yourself partial to an ad recreation you can easily climb across the rocks on either side to reach behind the waterfall. A sheet of liquid perfection, it’s a very popular and normally quite a crowded waterfall. If you continue on you’ll find lesser known and subsequently quieter and more peaceful falls. Like Zillie Falls, a waterfall with two viewing platforms. Most visitors here view the magnificent falls from above; however, it is worth the moderate hike towards the bottom. Not only will you likely have the falls to yourself, it’s hard to appreciate the sheer beauty and power behind Zillie Falls unless you view them from underneath. Finally, you hit Ellinjaa Falls. A short pathway takes you to this beautiful cascading falls. One that is much calmer than the others previously mentioned and a convenient tree stump makes a great spot for photos in front of the falls. A great way to enhance this day is to bring a packed lunch and have a picnic at the stunning Millaa Millaa lookout – not far from the waterfall circuit. 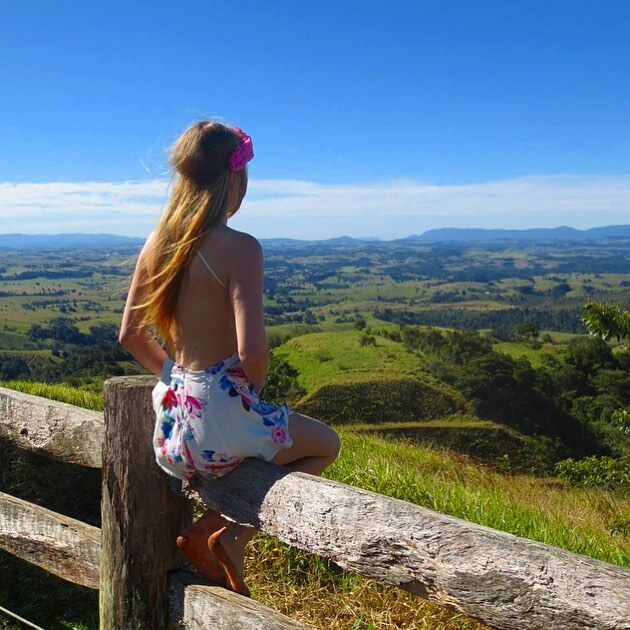 This lookout shows you as much as your eye could possibly see of the Atherton Tablelands and just how green this part of the world really is. 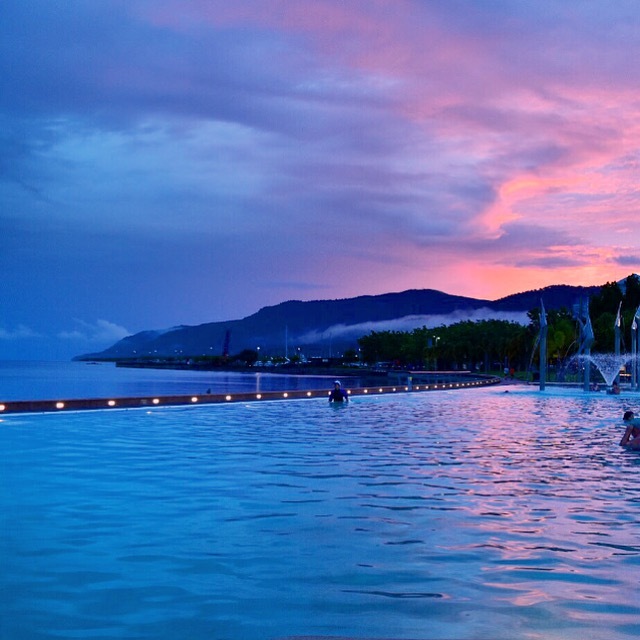 Finally, finish your afternoon back in Cairns down at the Esplanade and Cairns Lagoon. This popular spot for relaxation is littered with locals, family holidays and backpackers alike all soaking up the sun and good vibes that come from the frequent markets and live music. If you want to continue your night head on over to the Pier Bar or Salthouse along the ocean boardwalk for a few drinks before finishing your night at Gillies – added bonus if your bed is close! 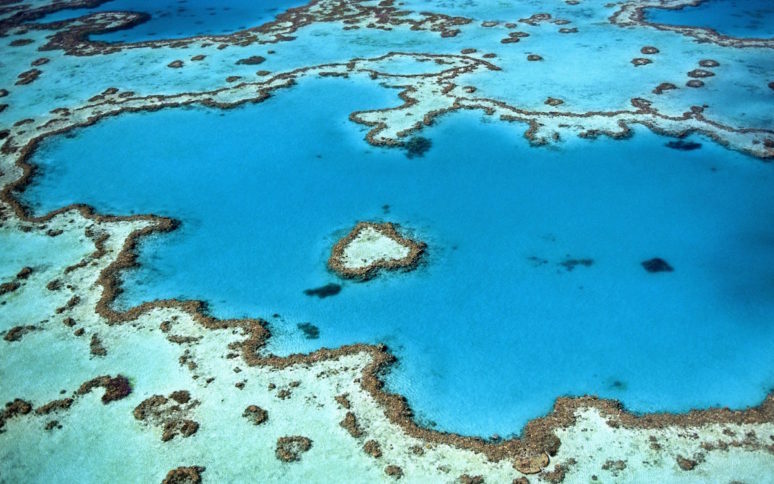 Today is the day to finally experience the Great Barrier Reef in all its glory. There are SO MANY ways you can experience the reef from taking a helicopter ride, scuba diving, snorkeling at the Cays and visiting tropical islands. My absolute favourite place in the World is Fitzroy Island, just a 45 minute ferry ride away from Cairns. Its beauty is second to none when you think about a tropical paradise. If you want to see the Reef and the islands this is the place to go. 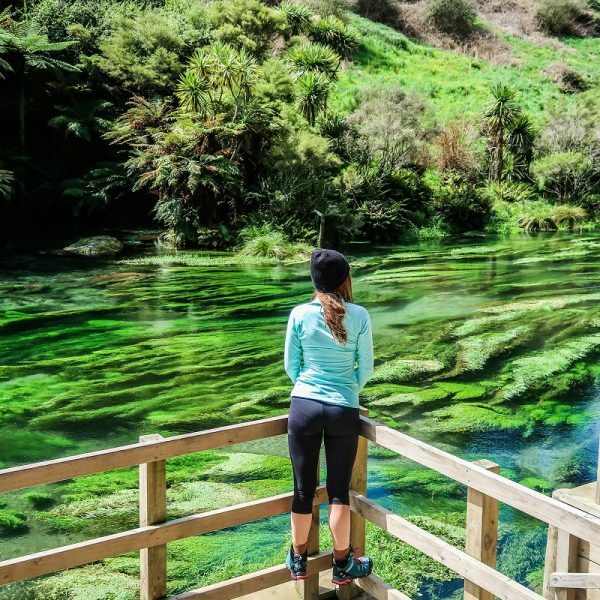 It’s in competition with Green Island where most tourists are directed to, but while Green Island has its positives it cannot compare to Fitzroy (and it’s probably a good thing that majority of tourists haven’t discovered this yet!). Raging Thunder boats leave Cairns at 9am each morning and Fitzroy 4.30pm each afternoon and cost AUS $75 pp for a return trip. This day trip gives you quite a lot of time on the island, however, as there is always more that can be seen if you do fall in love with the place it can be wise to book accommodation and stay over night – not only do you get to see the sunset, the island will be less busy after everyone has headed back to the mainland. Fitzroy Island gives you the opportunity to stand up paddleboard, snorkel, scuba dive, hike to the very top or just indulge in utter relaxation. There is even an ocean trampoline for those feeling slightly active or just excited by something as cool as an ocean trampoline. Just remember if you’re hopping into the water between October and May to cover up with a stinger suit – Cairns is home to some nasty jellyfish called Irukandji that are almost invisible. Don’t be alarmed though – covering up in the water is all that is typically required to protect yourself from stings! For those not wishing to spend too much of their time snorkelling the reef you can stop by at Foxy’s Bar for a sneaky midday cocktail before venturing off to Nudey Beach (no, despite its name it is not a Nudist Beach keep your kit on!). There are countless number of photo spots along the way and if you’re lucky the tide will be low revealing more of the rocks along the shore that look perfectly picturesque with the blue skies and pebbled shell beaches. This island is to be spent exactly how you want to spend it and no other way – it’s completely up to you. But there is one thing that is promised by it – you’ll leave it dying to return. This is Cairns. It’s one of a kind and will stay with you long after you leave. 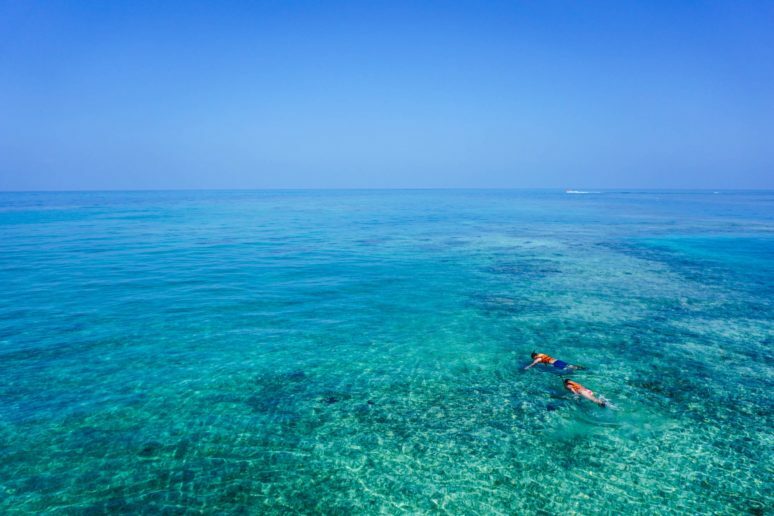 We hope that this article has inspired you to visit Cairns, Australia. If you have any questions about the destination or have your own travel tips to share please leave these in the comments below. Thanks for reading Jennifer, glad you enjoyed this post! Hi I love your blog it is very inspiring I love traveling too I love to learn more about traveling your amazing travelers. Thanks for reading and commenting Yulie! And thank you so much for your support and being part of the We Are Travel Girls community. So pleased to hear that you like the blog. Thanks for reading and commenting Raquel, pleased that this post will be useful for your own trip. Have fun! Love this! I’m heading out to Cairns in a couple of weeks and you girls mentioned places that no other blog has so thank you! 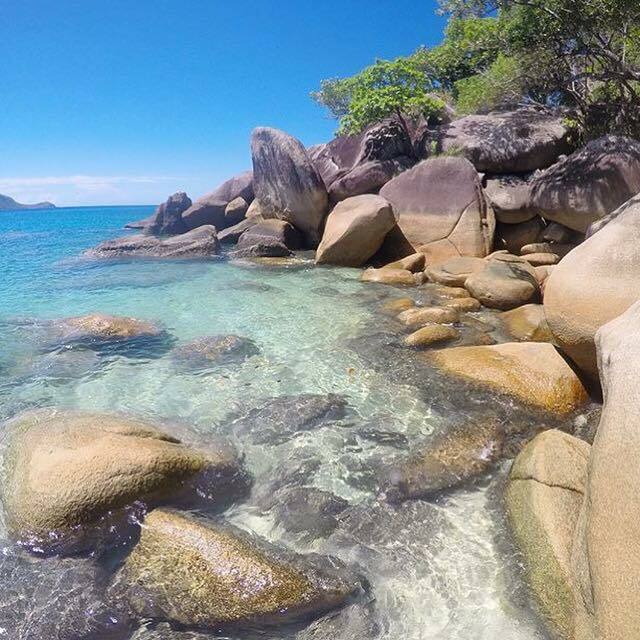 🙂 I’ve got Fitzroy Island on my list of must do’s and cannot wait to go! Hi there, this blog is just wonderful and clearly explains the things to do at Cairns. We would be visiting Cairns in December and would be visiting Kuranda for sure. I have one question though. Are there any public transport services available from Smithfield to Port Douglas? We were thinking we would go for the Scenic Railway from Cairns to Kuranda and take the Cablecar back down to Smithfield from Kuranda. Thanks for this great information. 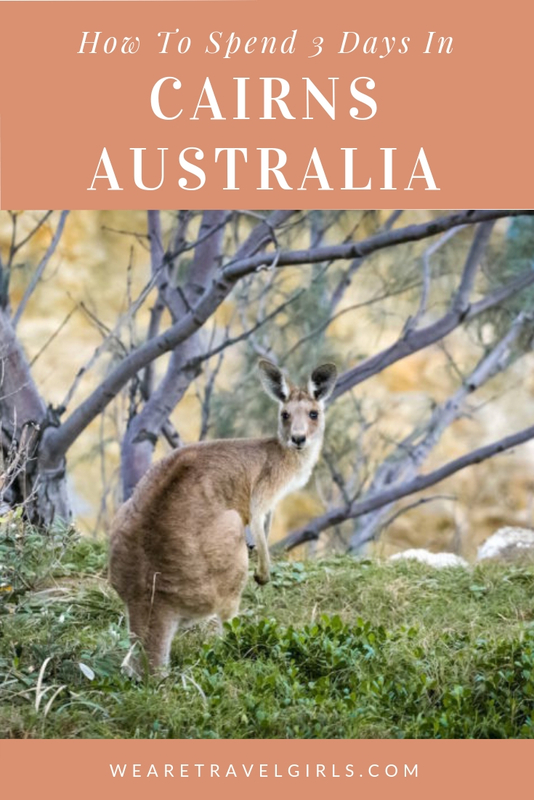 We are planning a trip to Queensland and trying to decide how much time we need in Cairns and what the top attractions are to explore there.